Join us for a Citizens League Birthday Party! 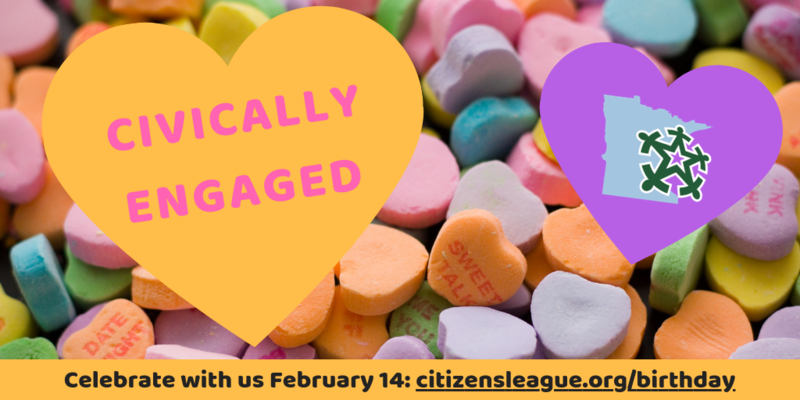 On Thursday, February 14 – yes, Valentine’s Day – the Citizens League celebrates its 67th birthday, and you’re invited to help us celebrate! What better way to kick off your Valentine’s Day evening than with your fellow policy lovers. We’ll welcome our friends from The Theater for Public Policy, an improvisational comedy group that makes complex policy topics not only easier to understand, but also funny. 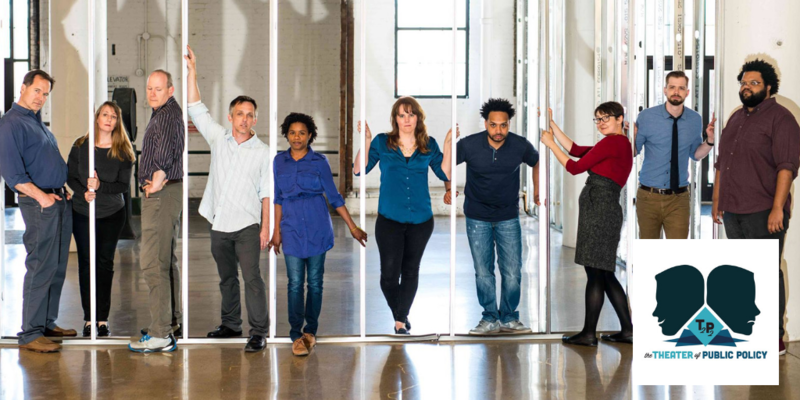 They’ll engage big thinkers on big issues facing the state today, then some of the Twin Cities’ best improvisers perform sketches made up on the spot. > Learn more about The Theater for Public Policy with this short video. Host Tane Danger will be joined by Brooklyn Park Mayor Jeff Lunde, Annastacia Belladonna-Carrera, Executive Director of Common Cause Minnesota, and Laura Monn Ginsburg, Owner and Principal of Apparatus Public Affairs, and Citizens League Vice Chair. Guests and performers will take their topics from the audience, so bring your questions and comments on the big issues facing Minnesota. Complimentary appetizers and BIRTHDAY CAKE included. Cash bar available. Online sales have ended, but there will be tickets at the door! Join us!